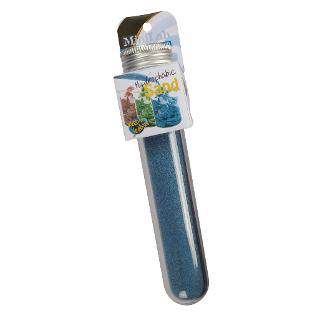 This Hydrophobic Sand in a Test Tube is a great way to teach about the properties of hydrophobic substances and their interaction with water. And just fun to play with too! Simply pour the Hydrophobic Sand into a cup of water, watch how it reacts with the water. 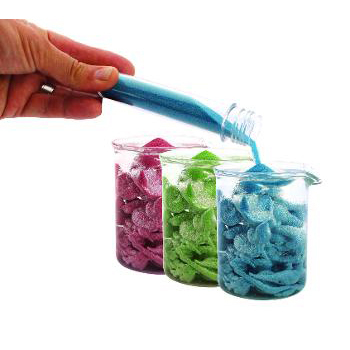 Using your fingers or a spoon, mould the sand in the water into different shapes. When you are finished, simply remove the sand from the water with a spoon... it is perfectly dry! Store in your Test Tube container, ready for the next time. Hydrophobic Sand is regular sand which has been dyed and coated with a hydrophobic substance - a substance which repels water. The coating on the outside of the magic sand repels water and keeps the sand dry! 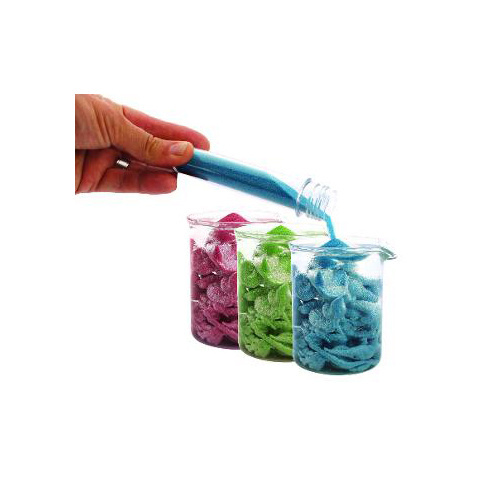 The Hydrophobic Sand Test Tube comes in 3 colours - pink, blue, and green. Colour is chosen at random, however, if you have a preference please put this in your order comments and we will do our best to fulfill your request.